If a US resident has ever been convicted of a DUI, they could be classified as criminally inadmissible to Canada and denied entry if they do not have special permission from the appropriate immigration authorities. Even if a US resident is arrested for a DUI but not convicted, they may still be criminally inadmissible to Canada and turned away at the border. Special permission to get into Canada is granted to Americans via a limited time document called a Temporary Resident Permit (TRP) or an everlasting endorsement called Criminal Rehabilitation (CR). While it is certainly possible for an individual to go ahead and apply for either one of these on their own, it is not advisable. The application process for both is very complex, and the Canadian immigration standards are tremendously high meaning an application that is not properly prepared can result in a refusal and even a person being denied entry to Canada in the case of a TRP application presented at the border. As of December 2018, a DUI is considered a serious criminal offense in Canada punishable by a prison sentence as long as ten years. Due to these tough new DUI laws, getting approved for special entry permission to Canada with an impaired driving offense in your past is more difficult than ever! The Government of Canada charges a CAD $200 fee to cover the cost of processing a TRP application. For Criminal Rehabilitation, a CAD $1000 fee can be required. The Canadian Government does not refund these fees if an application is refused! A TRP or Rehabilitation application requires a huge amount of tedious paperwork (a full list is provided by Citizenship and Immigration Canada), and forgetting even a single document can result in an application not being approved. A Canadian Temporary Resident Permit or Criminal Rehabilitation application refusal can also make it more difficult for a person to be approved down the road. Retaining the services of an experienced Canada DUI entry attorney can maximize your chances of success. Why a Canadian Immigration Lawyer? An experienced Canadian immigration attorney who concentrates on assisting US residents enter Canada with a DUI can help their clients in several ways. First and foremost, a Canada immigration lawyer can ensure that a TRP or CR application is prepared correctly and that it is fully compliant with governmental regulations and contains no errors or omissions. The regulations set by Immigration, Refugees and Citizenship Canada (IRCC), formerly called Citizenship and Immigration Canada (CIC), are very specific, and if an application is not prepared properly it can result in an individual being rejected by IRCC adjudicators. Canadian immigration attorneys are also qualified to help produce an application that will maximize the chances of success for their client. While the document checklist provided on the CIC website lists all the compulsory documents for a Temporary Resident Permit or Streamlined Criminal Rehabilitation application, there are a great deal more documents that may be included that can greatly strengthen an application! A seasoned lawyer understands the type of character reference letter or letter of recommendation that can indicate to immigration executives that a person has reformed. If the official reviewing a TRP or CR application file is convinced that the client is rehabilitated, their likeliness of being approved for successful Canadian admission will increase considerably. Want to learn how our Canadian immigration attorney can help you enter Canada with a criminal record? Phone us today for a FREE consultation. There is a large amount of complicated paperwork involved in the application process for both TRPs and Criminal Rehabilitation. Canadian immigration lawyers or Certified Canadian Immigration Consultants (CCIC) can help ensure applicants include all the correct documents in their application. These documents can include photocopies of passport or drivers license, birth certificate, marriage certificate, citizen certificate, alien registration card, current immigration document (if applicable), valid return ticket (if you have one), as well as proof of means of support. A CR or TRP application can also include several documents relating to your criminal convictions such as police records from every state you have lived in for six months or longer as an adult, a national FBI certificate, evidence of action you have taken to resolve your inadmissibility, copies of each court judgment made against you, as well as a bunch of other documents relating to court records, judge's comments, parole, pardons, probation, sentences imposed, and state-specific DUI laws. These are just the documents that can be required; there are also several additional documents that can optionally be included in your application to help maximize your prospects for entry into Canada. A qualified legal professional will be able to keep track of all these documents ensuring your application is error free and includes all the required docs as well as elective supplementary ones that may further enhance the probability of getting approved. Many clients that work full-time jobs and do not have a lot of extra spare time to spend dealing with tedious paperwork enjoy knowing that a lawyer is handling their file and that a professional is responsible for polishing their application and making sure it is complete. The Canadian immigration lawyer is also able to submit Temporary Resident Permit applications and Criminal Rehabilitation applications directly to the Government on their client's behalf. If you are wondering if a DUI entry Canada lawyer is licensed and regulated to provide legal services, you can independently verify their credentials via their local bar society's website. Most people who have not attended law school will likely not be able to accurately determine the exact criminal equivalency and excludability in Canada of a specific DWI offense from the United States. Determining the exact Canadian equivalent of a United States DUI can be difficult because it is determined by the precise statutory words used, and the wording of DUI statutes can vary from state to state. This means that a foreign national's admissibility to Canada can depend on the state in which they were charged. Admissibility is further complicated by the specific situation. Was the person drunk on alcohol, stoned on marijuana, or intoxicated by another substance? Were they involved in a motor vehicle accident? Were there any injuries or property damage? Were they speeding or did anyone report the individual driving erratically? Did the person take a roadside sobriety test? What kind and what was the result? Canadian admissibility can also be affected by the state specific wording of other documents involved if the person was acquitted of a DUI, received an absolute or conditional discharge, was enrolled in a criminal diversion program, or received a deferred adjudication. Now that intoxicated driving is a serious crime in Canada crossing the border with an old DWI is not guaranteed to be a smooth or simple process since automatic Deemed Rehabilitation after ten years is no longer possible. Americans who were considered deemed rehabilitated by virtue of time before the law changed may still be able to enter because of grandfathering, but a legal opinion letter from a Canadian immigration attorney is advisable. The reason for visiting Canada - whether it is for business, to go fishing or hunting, or to visit your potential future Canadian husband or wife, can also have a significant impact on a person's ability to get a TRP. Canadian TRPs are generally only granted for legitimate reasons, so if you are hoping to get one in order to vacation in Canada, you may need to prove a significant economic impact to the country to have a chance. For example, a person interested in visiting Canada with a DUI to go fishing may need to justify their TRP by explaining the major impact of their expensive and non-refundable fishing lodge, guide, airfare, etc. In general, for a Temporary Resident Permit to be issued the applicant's need to enter Canada must outweigh their potential risk to Canadians. Thousands of Americans are denied entry into Canada every year (just watch an episode of the TV show "Border Security: Canada's Front Line"), so do not think that just because Canadians are stereotypically friendly that their border agents and immigration officials are lenient. A reputable Canadian immigration attorney is qualified to prepare a TRP application that will maximize a client's prospects for successful DUI entry into Canada. A Temporary Resident Permit can be applied for in advance via a Canadian consulate or visa office in the United States (there is one in New York and one in Los Angeles), but often involves significant processing times that can be in excess of several months. Local DUI Lawyer or Canadian Immigration Lawyer? A lot of Americans who plan on traveling to Canada with a DUI are not sure if they should seek help from a local DUI attorney or a Canadian immigration attorney. It is advisable to always use a lawyer who practices Canadian immigration law! Your local DUI attorney, even if they are one of the best in your city, spends all their time dealing with the DUI/DWI laws in your state, not with Canada's immigration laws. His or her expertise will be negotiating plea bargains and sentence bargains, familiarity with the local court system and its complex administration procedures, and arguing for reduced charges for their clients. On the other hand, an attorney who practices Canadian immigration law spends their time assisting clients who want to visit or live in Canada and may have extensive experience helping Americans with DUIs enter the country. Will a local DUI lawyer be familiar with the new TRP rule that states that if the Canadian Border Services Agency (CBSA) notices someone attempting to enter the country with a single misdemeanor conviction they could potentially be gifted a one-time TRP on the spot and not even charged the CAD $200 government fee normally required? Likely not, as this new rule was only implemented in 2012 after pressure from Tourism Canada caused them to ease the entry rules for Americans. Will they be aware of Bill C-46 and the impact it has had on Americans with a single old DWI hoping to cross the Canadian border? Again, likely not, especially since the changes were made in December 2018 and the subsequent influence on border policy for Americans with impaired driving offenses only really received press in border cities like Buffalo. Your local DWI lawyer also might not know how a DUI affects a Canadian visa application, Canada study or work permit, permanent residency in the country, or that a DWI awaiting deliberation is essentially treated the same as a drunk driving conviction for the purposes of Canadian immigration. In order to submit a Temporary Resident Permit application or a Criminal Rehabilitation application to the Canadian Government, a lawyer must also be registered to practice law in Canada. This means that US lawyers are not eligible to submit TRP or CR applications to the Government unless they are also a practicing Canadian attorney. The IRCC Use of Representative form ensures only qualified attorneys in good standing are able to represent a client in regards to Canadian immigration. Canada's immigration laws are complex, and only a professional such as an attorney who is licensed in Canada is qualified to navigate them for your individual circumstance. Whether you are a student who is studying at a Canadian university or boarding school, a parent with children living in Canada, or an employee of a multi-national corporation or small business who needs to come to Canada for work, a Canada immigration lawyer can help you navigate your way into the country legally. Even though you live in the United States of America, finding licensed Canadian immigration attorneys is not hard thanks to the Internet! There are several full-service Canadian immigration law firms who solely practice Canada immigration law, and some of them even have lawyers specializing in DUI entries since drinking and driving is by far the most common crime in the developed world. An immigration attorney at a reputable law firm will be licensed by the Canadian Bar Association or their province's bar society to provide legal representation in all respects regarding Canadian immigration matters. If you are looking for a Canada immigration lawyer in USA, you need to realize that there are only a small number of them in the entire country. Outside of a few major cities such as New York City (NYC), Boston, Washington DC, Chicago, Detroit, Houston, San Francisco (Bay Area), Seattle, Phoenix, Miami, Dallas, or Los Angeles, identifying Canada immigration lawyers with experience answering questions such as "can you get into Canada with a DUI?" may be challenging. DUI and Canada border agents may not be a good mix if you do not have an understanding of what you are doing, so be cautious not to get refused entry to Canada if you decide legal representation is not for you. The CanadaDUIEntryLaw.com team includes a Canadian immigration lawyer with experience assisting US residents navigate the complex legal process required for some people with DUI convictions to enter into Canada. Not only do we help Americans overcome Canadian inadmissibility issues, we can also help them understand the consequences of running afoul of the Canadian Border Services Agency (CBSA) by lying or staying silent regarding their criminal history when traveling to Canada. If you read various Internet message boards and forums you might think that getting into Canada with a DUI is as simple as contacting a Canadian embassy or Canadian consulate in the United States and asking kindly for a "waiver of exclusion", but this is not correct. Firstly, the permits are not even called waivers, and secondly, the process is actually significantly more complex. Now that a DUI in Canada can result in a maximum punishment of ten years in prison, getting approved for a TRP is more challenging than ever. For this reason, many people simply avoid traveling to Canada after they get a DUI. For individuals who have family in the country (especially children or a spouse), require flying to cities such as Toronto, Vancouver, Calgary, Ottawa, or Montreal for employment, have a Canadian parent, or who own real estate or have other business interests in the country, avoiding Canada is often not an option. In such cases, retaining the services of a legal professional may be wise. Our team also has experience sharing with clients techniques that can help conceal their DUI from their boss when they are traveling with coworkers and want to avoid a potentially embarrassing situation. POE applications may be possible provided you are a citizen or legal resident of the US, but they involve serious risks since you could be refused entry and sent home if your application is not approved. In general, Port of Entry Temporary Resident Permit applications are for emergency situations only. Before Canada implemented their Electronic Travel Authorization program, it was also possible for a citizen of a visa-exempt country such as the UK or Germany to fly to Canada and present a TRP application at the border, although this strategy was exceptionally risky and not recommended except for serious emergencies. As of 2016, however, a criminally inadmissible individual from a visa-exempt country may be denied a Canada eTA which means they would not be able to fly to the country to present their TRP application and must instead overcome their inadmissibility issues in advance of travel. The need for an eTA before you can board a flight destined for Canada also makes it more difficult for many US Green Card holders to get to the Canadian border to present a TRP application. The eligibility criteria for automatic Deemed Rehabilitation by virtue of time is very simple. A person may be eligible to be "deemed rehabilitated" if they have only one conviction, all jail time has been completed and fees and fines have been paid at least ten years prior, and the offense is not considered a serious crime in Canada (such as a felony) and did not involve a weapon or physical harm/property damage. In December 2018, the Government of Canada implemented harsh new DUI laws, and impaired driving is now considered a major crime north of the border. For this reason, an American with a single DUI no longer qualifies for Deemed Rehabilitation after ten years. If he or she was considered rehabilitated before the new law was introduced on December 18th, 2018, however, they may still be eligible to cross the border but should always consult with an immigration lawyer in Canada first. The eligibility criteria for Streamlined Rehabilitation is also very simple. A person is eligible to apply for CR if all jail time, restitution, and parole or probation have been completed for at least five years. You can not apply for streamlined Criminal Rehabilitation at a Canadian Port of Entry like you can with a Temporary Resident Permit. The application process involves a large number of documents including photocopies of a United States passport or birth certificate, photo identification, a copy of court documents for each conviction as well as proof that the sentences have been fully satisfied, police certifications from the state where the convictions happened and from any state you have lived in for more than six months since the age of 18, and lastly an FBI identification record. It costs 200 Canadian dollars to apply for Streamlined Rehabilitation, but the Deemed Rehabilitation process is free. Because the application process is very complex and requires you to obtain several legal documents, retaining the services of a Canadian immigration lawyer is highly recommended. An attorney experienced in Canadian immigration matters will be able to ensure the application is submitted accurately and completely, which can maximize your chances of successful entry to Canada. Some people have posted on Canadian immigration message boards on the Internet that when they contact their local visa office they are told to instead contact the Consulate General of Canada in New York. The problem, they claim, is that when they attempt to call the Canadian Consulate in New York they are informed that the consulate does not take telephone inquiries. We have not independently verified any of these claims, but there did seem to be a large number of different people making them. If you search for IRCC Form IMM 1444 on Google you will notice that it often cannot be opened in Firefox, Chrome, or Internet Explorer because there appears to be an error with the PDF document (it often says it requires a newer version of Acrobat Reader). This topic has been discussed on a few online discussion forums related to Canadian immigration, and several people have complained about this (one person who voiced frustration about their inability to download the PDF file threatened to make a formal complaint). The C.I.C. form for Streamlined Rehabilitation, Form IMM1444 "Criminal Rehabilitation" is also quite hard to locate when searching on the Internet. Canada DUI entry laws can be difficult to understand for many people, and there is a wide range of unique scenarios that can complicate a person's prospects for entry such as a Certificate of Rehabilitation or DUI diversion. An experienced Temporary Resident Permit or Criminal Rehabilitation lawyer in Canada can use their knowledge of the Canadian legal system to help U.S. clients navigate their specific criminal admissibility situation when attempting Canada DUI entry. While reading information on the Internet can be helpful, depending on an individual's exact situation the advice may not actually apply to them. There are also little-known ways a Canadian Immigration lawyer can help someone with a DUI gain entry to Canada. For example, did you know that if it can be demonstrated that the individual had a blood alcohol level of .08 or less when they were charged for impaired driving, it may not constitute a DUI under Canadian law? Which state the DUI occurred can also matter, as well as other factors such as whether an accident occurred or there was any damage to property. A reputable attorney practicing Canadian Immigration Law will also be able to assist individuals interested in traveling to Canada who have been found not guilty of driving under the influence or who are only visiting the country due to a vital situation. For individuals with an expunged DUI (in certain states), a suspended sentence, or who were deemed rehabilitated by time before a DWI became serious criminality in Canada, a legal opinion letter written by a lawyer explaining the exact situation and the person's admissibility to Canada may be helpful. 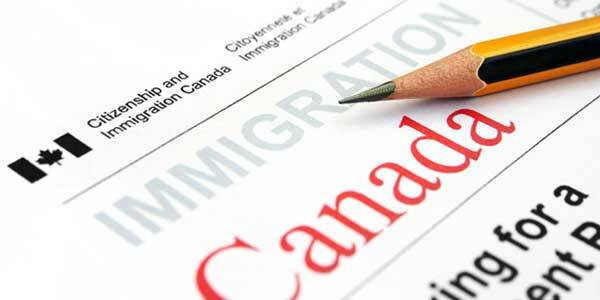 Can a Certified Canadian Immigration Consultant Help? Many Americans interested in visiting Canada with a DUI are confused on whether or not they should retain the services of an immigration consultant vs. an immigration lawyer. Both immigration consultants and immigration attorneys in Canada are licensed to assist US residents to apply for a TRP or CR so they can enter Canada with DUI appearing on their criminal record. An immigration consultant is not a lawyer but has gone to school and studied Canadian immigration law. The CCIC designation is not a scam, and immigration consultants in Canada can help Americans overcome criminal inadmissibility problems often charging less money for their services than lawyers. A Certified Consultant can help a person apply for a TRP, and is often very familiar with the Department of Citizenship and Immigration standards when advising clients, which makes their advice valuable. Both consultants and lawyers are legal professionals capable of assisting a person with DUI entry into Canada. Whether you retain the services of a Canadian Temporary Resident Permit lawyer or decide to save money and go the cheaper route of a consultant is entirely up to you. If you would like a free consultation to learn how a Canadian immigration attorney can guide Americans entering Canada with a DUI to do so legally and efficiently, phone us today! In addition to DUI/DWI charges, other criminal convictions that Americans commonly have that can affect Canadian admissibility include bad check offenses, theft, drug possession, disorderly conduct, and domestic violence. Disorderly conduct equates to a summary offense in Canada, so it does not render an American inadmissible by itself, but multiple offenses or combined with other criminal activity and it can be an issue. Temporary Resident Permits are generally awarded to applicants that present a compelling and urgent reason to visit Canada while manifesting very little threat to the local society. TRPs can also be granted on humanitarian and compassionate grounds, and many artists, musicians, athletes, and entertainers can be granted one on a "national interest" narrative. Depending on the exact circumstances, a TRP can vary from a single entry 24-hour pass to a multi-entry 6-month or longer permit good for multiple trips to Canada. An immigration lawyer or consultant is skilled at explaining a person's reason for visiting, which is an important factor when an application is adjudicated. Experienced Canadian immigration attorneys can strategize an effective course of action for their clients, tailored to the exact circumstances of the person's individual case. American citizens can occasionally make the inaccurate assumption that flying to Canada with a DUI is as simple as filling out a basic application and remembering your passport. If you underestimate the procedure and do not complete the Temporary Resident Permit application form (IMM1444) correctly, you could face an outright denial of entry or detrimental delays. A qualified legal professional with expertise in the field will have refined the Canada entry DUI process to maximize a client's likelihood of being sanctioned for access in a reasonable period of time. Unless you are classified as "deemed rehabilitated" by virtue of time, it will be necessary for an inadmissible foreign national to receive permission to enter Canada. A lawyer knows which supporting documents are mandatory and which are optional, and if they submit Canadian TRPs on a regular basis they may know the current processing times. Temporary Resident Permit and Criminal Rehabilitation processing times can depend on many factors including the volume of immigration applications received recently, the officer's desk it lands on, and the current backlog for that particular office. To achieve a positive decision, a Canada TRP Lawyer will have to help the applicant make the case that they do not pose a danger to the Canadian public and that this is a well-substantiated claim with credible evidence and supporting documentation. Our Canadian immigration lawyer is skilled at developing a truthful and persuasive narrative that clearly explains a client's reason for requesting a Temporary Resident Permit. We can also help you organize crucial evidence and documentation to support your claims, and can help you prepare for the in-person interview at the border if you are requesting urgent access at a Port of Entry. You can apply for a TRP at a Canadian Port of Entry (POE) or via a Canadian consulate (the Los Angeles consulate handles a large percentage of these files). A point-of-entry TRP application leads to immediate entry if approved, but can be stressful and cause severe anxiety since the outcome is uncertain when an individual shows up at the border. Some people incorrectly believe that success rates are higher at airports since the consequence of being denied entry by an immigration officer is more severe and hence, in theory, makes them less likely to deny the person. Being turned down for a TRP at an airport border can result in an individual being returned to the United States on the next available flight, and if no return flight is available, an officer can even confiscate a person's passport while they lodge at a nearby airport hotel until the next flight is available. For US Green Card holders, paying money for a flight to Canada and then having it go to waste because your eTA was refused is also not a pleasant feeling. This frequently happens, however, so do not for a minute think that just because a denial would be a massive inconvenience, they will not do it. If you have ever watched the TV show "Canadian Border Security" you will quickly learn that even people arriving from as far away as Australia can be denied entry and sent home. If you believe you may have an issue crossing the border, contacting qualified legal counsel well in advance of your intended travel date is the most effective measure you can take to ensure successful entry. A Canadian immigration lawyer can help you enter Canada from USA with impaired driving on your criminal record. If you wish to visit Canada soon and have a drunk driving arrest or conviction, phone our team today for a free consultation.